You spend the end of the year wrapping up details, gifts, and holiday activities. As the clock clicks down and we see 2019 looming in the very near future, what are your plans to make the year positive, exciting, and memorable? How about “new year, new home”? Alvarez Construction Company has move-in ready homes waiting for you in Prairieville, LA…with a bonus to buy now. When you sign a contract to purchase one of our available homes before January 31, 2019, we’ll also include two-inch, white faux wood mini-blinds on all operating windows, PLUS a Whirlpool side-by-side refrigerator—valued at $3,000. Just close within 30 days, and these extras are yours! We have a great selection of new construction homes for sale near Baton Rouge. Alvarez Construction Company makes it even easier to buy right now. With 100% financing through the USDA Rural Development Home Loan Program and up to $5,000 toward closing costs, you could be ready to follow the path to homeownership right now! Take a look at the Prairieville homes and communities that qualify for this offer. This country setting features a community lake and green spaces for peaceful walks, but you’re still just a 25-minute drive from Baton Rouge. The single-level, single-family homes at Grove at Ascension range from 1,800 to 2,300 square feet, and are designed with style, comfort, and energy efficiency. Is one of these move-in ready homes the right fit for you? Prairieville is one of the fastest growing Baton Rouge suburbs. The rural location, quality schools, and convenient access present great reasons to move here, and Ironwood Estates gives you the best of this lifestyle. Use your bonus toward any of these available new construction homes here. So, why exactly are you waiting to buy a new home? 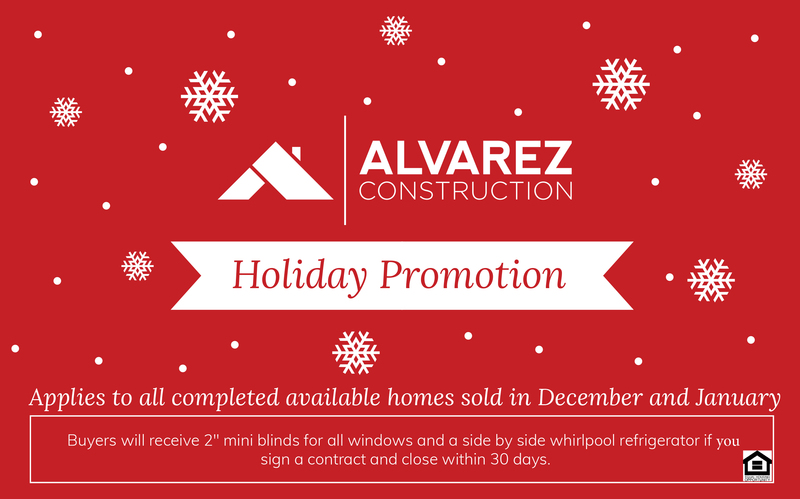 Talk to Matthew at Alvarez Construction Company to learn more about these new homes, communities, and our special offer. If you’re looking for another area, you can also use this same offer at our two Denham Springs communities: Cella Gardens and The Sanctuary at Juban Crossing.